Following his return to the Vatican on Wednesday evening, after celebrating Mass in a cemetery for All Souls Day, Pope Francis telephoned the Archbishop of Spoleto-Norcia, Renato Boccardo, to express his closeness to the people of the Valnerina valley, which is formed by the Nera River, and flows from the Marche region of Italy through the region of Umbria. The valley was the area most affected by the earthquakes of 26 and 30 October. The Archbishop was in Norcia for the visit of the President of the Italian Republic Sergio Mattarella. He was touring the areas most damaged by the earthquakes. He added that Pope Francis assured him of his prayers and blessings for the people affected. 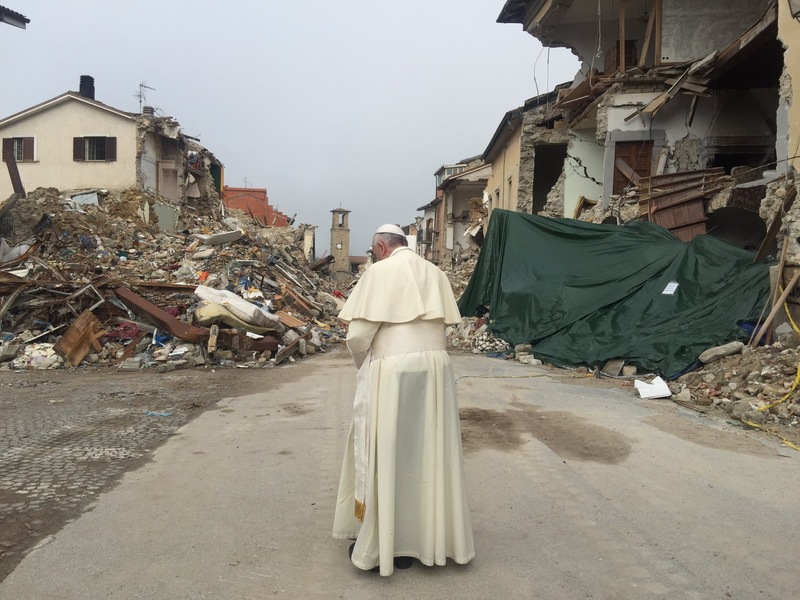 “The Pope also said he was saddened by the collapse of so many sacred buildings, symbols of faith and identity of the people,” Archbishop Boccardo said. The Archbishop said the entire diocesan Church of Spoleto-Norcia is grateful to the Pope for this additional show of support for the people of the Valnerina valley, after the visit the Holy Father made to San Pellegrino on 4 October, following the earthquake of 24 August, which killed 298 people.